Flight 93 is the story of the heroic passengers that took back their plane in an effort to stop a 9-11 terrorist attack. 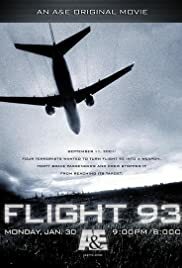 A docudrama about the efforts of the passengers aboard United Airlines Flight 93 to derail the 9/11 terrorists' plan for the hijacked airliner. On 9/11 2001 two planes American 11 united 175 hit the World Trade Center and many people died and jumped to their deaths some survived until the tower fell. A look back at the 9/11 attack 15 years later. First hand storytellers reveals new information regarding the events. Inside 9/11 provides insight into the events that led up to 9/11 by tracing the timeline from al Qaeda's earliest origins through the aftermath of 9/11 and the ongoing investigation. Biski Gugushe ... LeRoy Homer, Jr.
Four terrorists wanted to turn flight 93 into a weapon. Forty brave passengers and crew stopped it from reaching its target. Tom Burnett: It's a suicide mission! It's September 11, 2001. United Airlines Flight 93 departs from Newark International Airport on its way to San Francisco. Almost at the same time, the first plane is crashed into the World Trade Center. 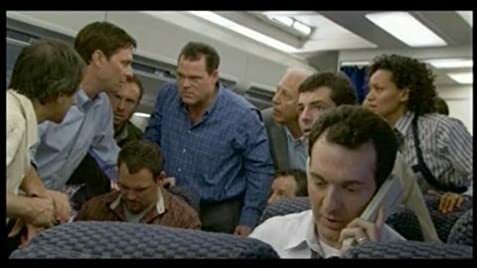 Four hijackers take over United 93 as confusion reins back in the air and on the ground. The passengers calling from the plane surmises the hijackers' plan and try to retake the aircraft. It's a made-for-TV movie on the A&E Network. It's relatively well-made movie with a few recognizable faces among the crowd. It is a lower level of production than United 93. The real life and death struggle still resonates. The battle for the plane is still intense despite the foregone conclusion. The calls home are as heart wrenching as ever. The intense real drama has not been diminished by this movie production.